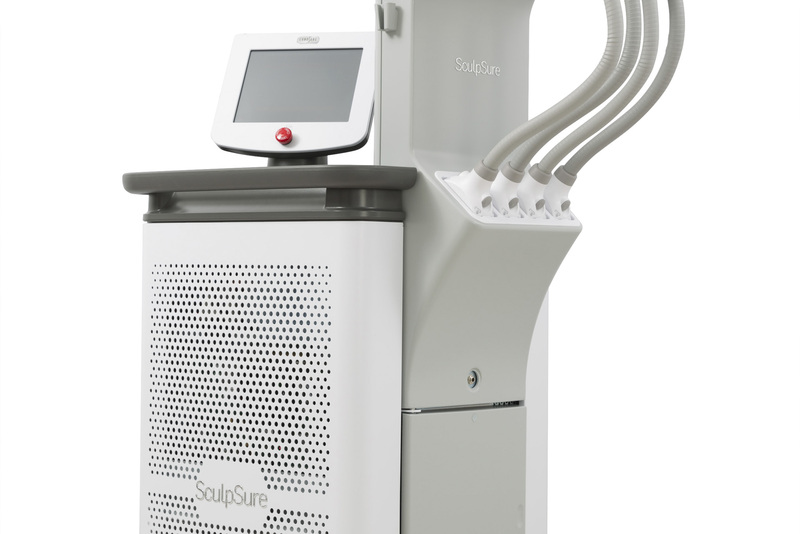 SculpSure™ is FDA-approved for the non-invasive reduction of fat in the abdomen, thighs, and love handle areas. 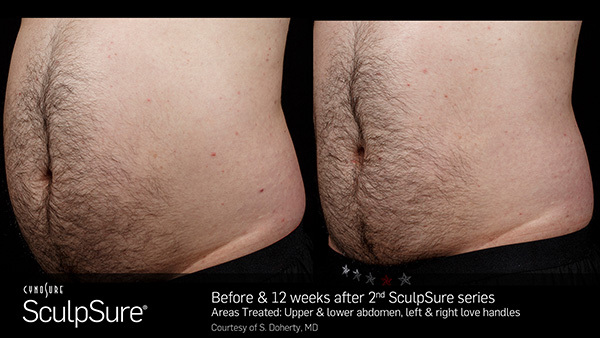 SculpSure™ laser treatment contours the body by safely melting away unwanted fat for good without surgery or downtime. The procedure takes 25 minutes per area. Results are noticeable and natural-looking in the treated areas. 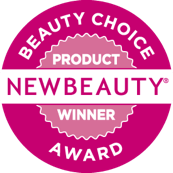 Achieve a slimmer, natural looking appearance without surgery or downtime. Even with diet and exercise, most people have stubborn pockets of fat that seem impossible to lose. 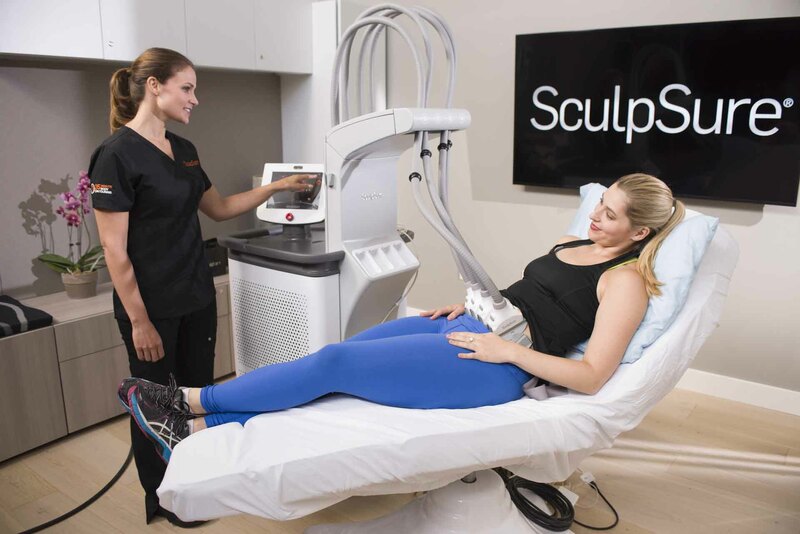 SculpSure™ body contouring technology is able to target and can destroy the targeted fat cells safely in just 25 minutes without affecting the skin’s surface. There is no recovery time following treatment, so you can resume your daily activities immediately. Most patients need multiple treatments to achieve optimal results. When the treatment starts, initially you will feel a cooling sensation. This helps keep the skin comfortable during treatment. The cooling will be on the entire treatment, while the laser cycles on and off, raising the temperature of the fat cells. Most patients feel a deep warmth and/ or tingling sensation intermittently throughout the treatment which is generally well-tolerated. How Does Laser Body Contouring Work? Targeted laser energy heats fat cells under the skin without affecting the skin’s surface. 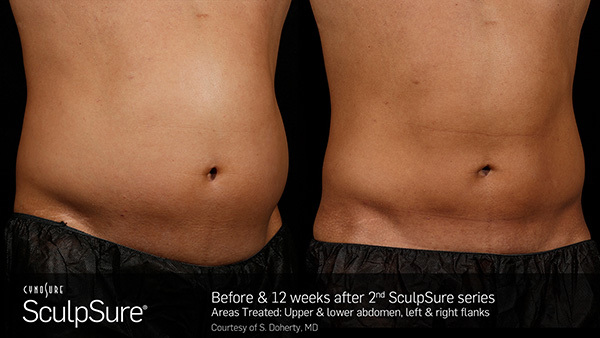 SculpSure™ raises the temperature of fat cells damaging their structural integrity. Over the next three months, the damaged fat cells are processed and eliminated by the body’s lymphatic system.Fat cells are permanently removed and will not regenerate. 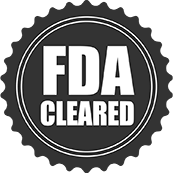 Results can be seen as quickly as six weeks, and optimal results typically seen at 12 weeks.